Ada Colau rose from the bottom. 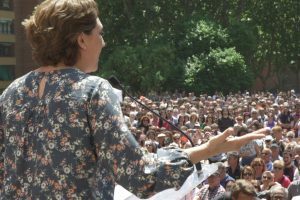 A leader in Spain’s housing protests, she won the mayorship of Barcelona in a major upset. Her personal video diaries reveal her journey to become a politician. The Bulgarian village of Altimir is about to be erased from the map, in the wake of defunct Communism and fickle Capitalism. Every day they dive into the murky, silent, dangerous depths of the Pacific Ocean, in search of abalone, sea urchins, and octopi. Back on land, they return to being mothers and grandmothers. A lyrical film about an extraordinary group of women in a small Japanese fishing village. India is the world’s largest democracy, but it’s also plagued with political corruption. Arvind Kejriwal promised to fix it. 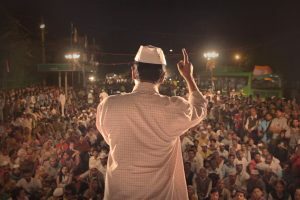 His surprising rise, dramatic implosion, and renewed ambitions, make for an intense political drama. 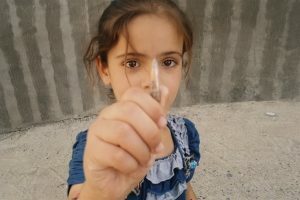 The story of Israel's "development towns", as never told before: Testimonials and previously sealed transcripts reveal a method, an ideology and a cruel practice of law enforcement and decision makers behind the "population dispersal" policies. 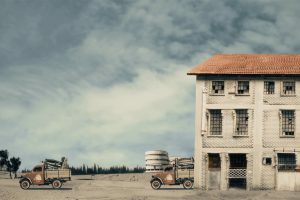 Animated documentary of encounters in virtual worlds that simulate the Auschwitz Concentration Camp. 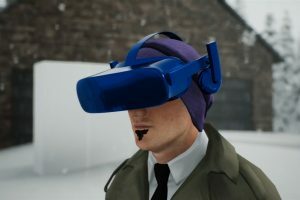 The film follows the creators of these virtual camps, each within their simulated worlds, revealing the obsession of representing of the Holocaust. 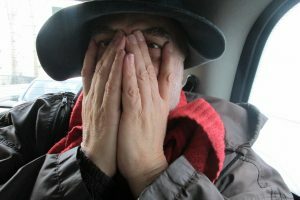 Loznitsa’s camera follows thousands of tourists as they wander around concentration camps—armed with backpacks and selfie sticks—as if on just another outing. 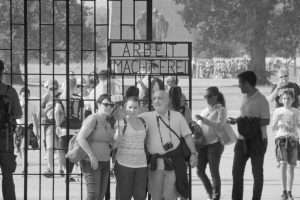 A gentle, precise and harrowing film, that raises difficult questions about Holocaust tourism. 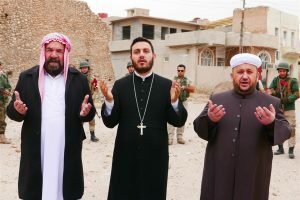 Philosopher Bernard-Henri Lévy was there, among the gunfire and explosions, with the Kurdish militias in the campaign to free Mosul from ISIL. Among the rubble, he finds human connections and surprising historical context. 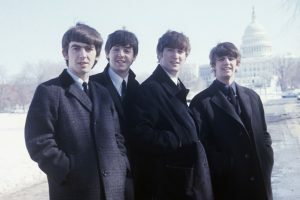 At the height of Beatlemania, the Fab Four needed lots of mental fortitude (and humor) in order to stay sane. This music-filled film accompanies them before, during, and after their hysterical concerts. 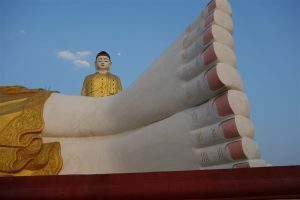 “Before My Feet Touch the Ground” is a film about a woman who was transformed overnight from an up-and-coming filmmaker to a leader and symbol of a national social protest. 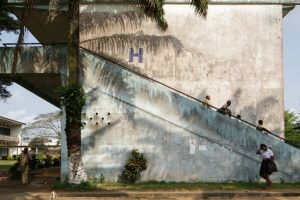 Ivory Coast’s striking civic buildings are historical scars left after the end of the modernist dream. Wiping away the traces of colonialism isn’t easy, not to mention the gaze it cultivates. Just ask Norbert Abeles. 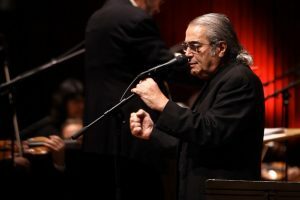 The story of cultural icon Boaz Sharabi, Israel’s greatest soul singer. The life of a creative giant in constant conflict between the love of the public and his loneliness and desire to grow up. After ten successful years with the Batsheva Dance Company, in the midst of a passionate affair with a young dancer, Bobbi Jene Smith returns to the US to find her own way as an artist. As the fiery bulls storm the alleyways of Tultepec, time stands still. 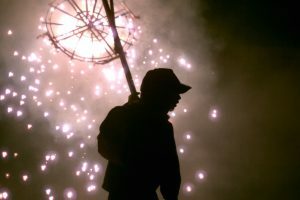 The annual fireworks festival is a display of creativity and courage. 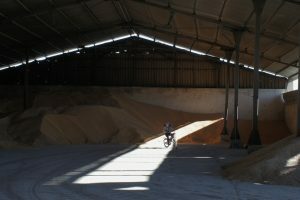 The film captures its sense of elation with images of rare beauty. 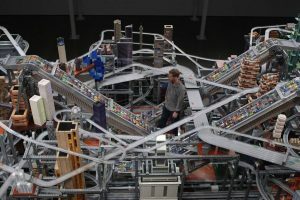 Chris Burden shocked the art world in the 1970s with a series of provocative installations that forced a generation of artists to rethink its path. A rare look at the making of a myth. The beautiful landscapes of Burma mask the great sorrow of thousands of poets who were imprisoned and silenced under military rule. As a new age looms, they tell their stories through magnificent imagery. 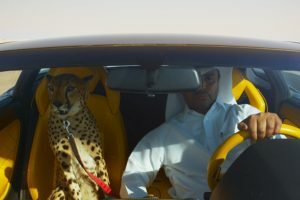 The falconry competitions of the Qatari desert are an ancient tradition evolving into modern manhood rituals: expensive cars, fire-breathing SUVs, and pet cheetahs. An urban nature doc, shot partly on falcon-cam. To cope with his parents’ separation, a sensitive boy named Che fills his world with monsters and horror stories. Kimaru wants to go back to school. When his mother can’t afford the tuition, he’s forced to come up with a solution. 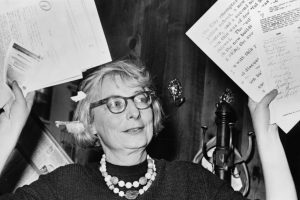 Journalist and activist Jane Jacobs, author of "The Death and Life of Great American Cities", turned the accepted approach to city planning on its head. To do so, she fought against blindsided, greedy, patronizing planners. 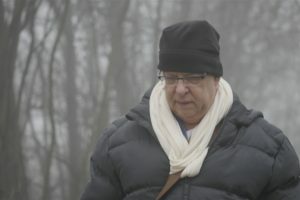 Over 45 years of marriage, Barbara and Zdzisław have learned to salve their wounds with petty, bittersweet squabbling. 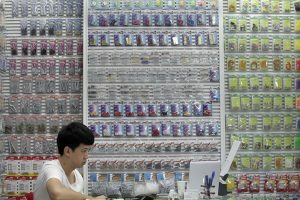 In the plasticky hustle and bustle of the Chinese Commodity City, the largest wholesale consumer market in the world, people search for a moment of quiet. Nikodem’s Communion is approaching, while his 14-year-old sister Ola tries to reunite their family. 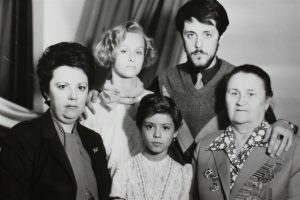 The film follows the emotional upheavals of this Polish family, where the kids have come to replace the adults. His self-control, charisma, and deep passion, have made Sergei Polunin the superstar of the European classical dance scene. At the height of his success, he faces a deep personal crisis. 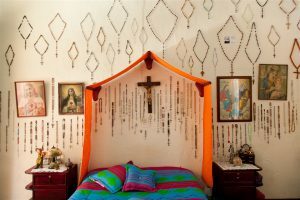 In Mexico, perpetrators and victims seem to be determined by chance. 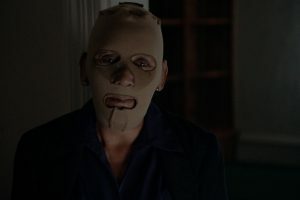 Behind identical masks, they are all free to tell a story that deletes personal identity, and draws a chilling, unforgettable collective portrait of the whole society. Layer by layer, the Manshiye neighborhood is exposed on the beach between Tel Aviv and Jaffa. “Disappearances” addresses a place that has been concealed, its existence still alive and etched in the memories of its inhabitants. 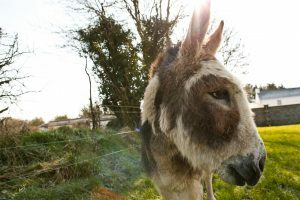 A film where donkeys tell their stories, not with words but with rhythms, nods, and loud brays. Willem Defoe narrates the story of a donkey sanctuary, whose residents reveal their secret lives before the camera. 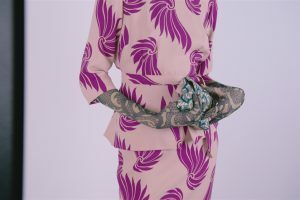 Top-designer Dries Van Noten has been shunning cameras his whole life. While preparing his most flamboyant fashion show yet, he reveals his hypnotic works for the first time, as well as his personal life. Eagles of Death Metal returns to Paris, just three months after the terrorist attack at their show, where 89 people were murdered. 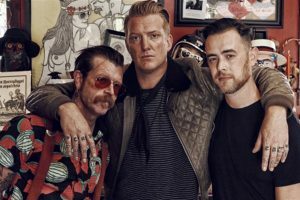 Vocalist Jesse Hughes connects with survivors and his bandmate and close friend, Josh Homme. An unorthodox look at the path taken by immigrants from Mexico to the US, a deadly road across the Sonora desert. 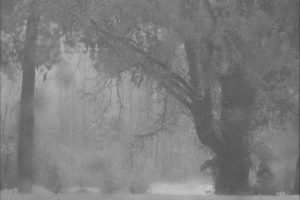 It’s an almost hopeless, haunted trail, that takes a toll even on those who make it. After the death of Elisheva Rise, her children clear out her home and find some old journals. She secretly wrote a journal for each of her seven children, whom she had never hugged nor kissed, that documented their entire lives. Now, they open the journals for the first time. Wilfrid Israel was a significant heroic figure of the Holocaust: one man solely responsible for saving tens of thousands of Jews from Nazi Germany. Filmmaker Yonatan Nir sets out on a personal quest to reveal an amazing, forgotten story. When 13-year-old Paris murdered his 4-year-old sister Ella, their whole family fell apart. But a brave examination proves that the seeds of destruction were sown long before. The story of the Hatuel family, the prominent fencing dynasty from Acre, dominated by Haim Hatuel the father and legendary coach. Haim starts to lose control of his children just before the Olympics in Rio, which propels them into a family duel in which they pierce each other both on and off the strip. Near Gush Etzion Junction, between Jerusalem and Hevron, Palestinians and Israeli settlers create "Roots", a local initiative trying to transform the conflict from the ground up. Repeated attacks at the Junction inflame the region and challenge their work. Two childhood friends hole up in a hotel room and spend four intimate weeks talking about everything, even the future they dreamt about growing up in East Berlin, and what’s left of it. A young artist documents her journey to become a professional ballerina. She embarks on this quest with determination, even though it is a lost cause. Franca Sozzani is the editor who reimagined Vogue Italia as a place for bold, controversial imagery. In this documentary by her son, she reveals surprising stories from her tumultuous personal and professional life. 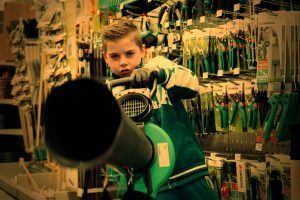 100 hours of one family’s self-shot home movies on YouTube are rewoven into a frenetic, fictional, troubling, yet wholly plausible new narrative; a thriller built by reframing chunks of an existing reality. 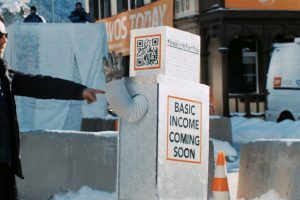 What if we were all given a basic income, freeing us up to pursue our dreams? Would we all become lazy bums, or experience a renaissance? And what about the places where this bold idea has already been put into practice? At 70, Iggy Pop is still just as charismatic, and also surprisingly funny. 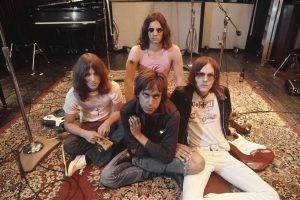 He stars in this story of his band, the mythical Stooges, replete with rock legends, fans, and lots of great music. 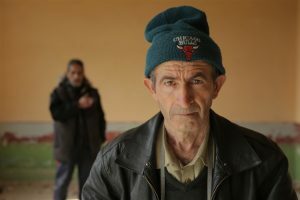 In a tiny Bulgarian village on the Turkish border, the mayoral election resembles an absurdist play. The local postman and an unemployed ideological visionary, run an unforgettable, bittersweet election campaign. The entry exams to La Femis, the prestigious French film school, actually expose the testers’ worries and dreams. Claire Simon’s latest film is about cineastes who are trying not to miss the next big talents. 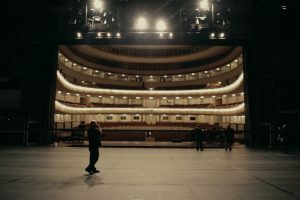 While Warsaw’s Grand Theater puts on its production of Madame Butterfly, another spectacle goes on behind, above, and below the scenes… And it’s just as breathtaking. They’re over 40, but still go to school every morning. 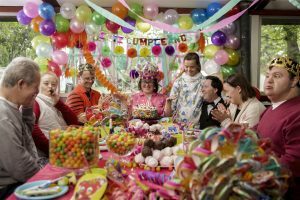 This film’s charismatic protagonists have Down syndrome, and despite their exciting emotional lives, their environment won’t allow them to grow up. A portrait of Michal Bat-Adam, the first and only woman director in Israel to regularly create films since the 1970s. 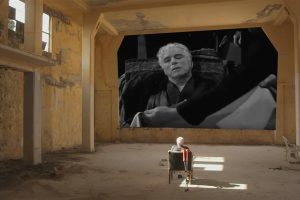 The film intimately documents her and her husband, director Moshe Mizrahi, sharing the struggle to make films despite aging. 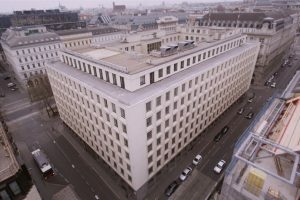 In a single spot in Vienna stood a theater where 386 people burned to death, Freud’s first clinic, and a secret Cold War bunker. This associative, artistic investigation unlocks the story of a notorious haunted building. 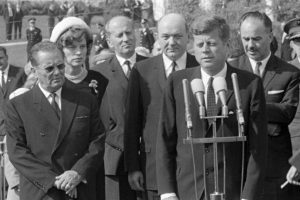 A groundbreaking look at Yugoslavia’s role in the space race. Archival materials form the basis for a virtuosic drama, which may or may not have actually happened. 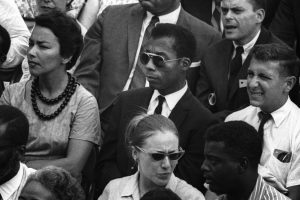 James Baldwin boldly depicted America’s decline through the story of its oppression of black people. His bold words (as wonderfully read by Samuel L. Jackson) form the basis for a contemporary examination of race relations. Hidden between the viral videos of Youtube are the most private teenage diaries, which slowly and gently follow them growing up. In My Room weaves these diaries into one big coming-of-age story, as it unfolds from inside their rooms. 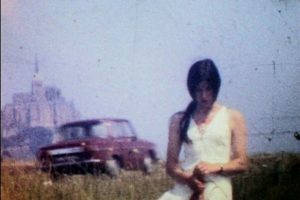 Films shot by his mother in China in the beginning of the Maoist revolution send director João Moeira Salles on a philosophical-archival quest for the revolutionary spirit of 1968. A particularly sensuous film about 8 Colombian elderly women who live in a colorful little Andean village. Their lives haven’t been easy, but when they converse, eat, laugh, and cry, you feel like falling in love. 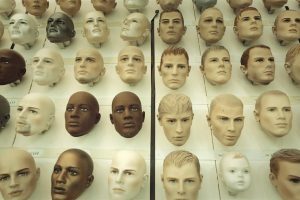 The voice of a single African refugee gives an identity and a face to those who seem like a long line of silent dolls. 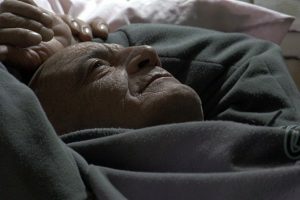 In the center of Jerusalem, between east and west, opposite the old city walls, stands The French Hospital St. Louis - a hospice for the terminally ill. An intimate look at the lives of patients and staff from all sectors of the city. Antonio Cairo was a local legend. It was hard to miss the tough, simple type that was very different from his neighbors in the 'moshav'. 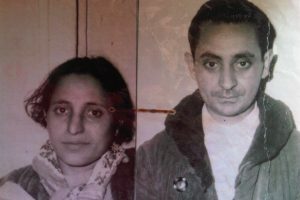 They knew that he was an Italian prisoner who was in the Irgun, and that it was best to stay out of his way. Most of all, they knew he was a very successful farmer. A family tragedy forces the director to return to her hometown in the former East Germany. Her investigation of a very personal mystery leads her to create a surprisingly deep portrait of an era. The extraordinary story of Michal, a young woman trying to raise her baby daughter against all odds. 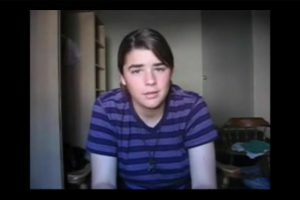 Michal's personality and courage cause us to question all our stereotypes about gender, class, education and background. On stage, the 'queen of flamenco' had a fierce power. Her personal life was darker, but La Chana never gave up. 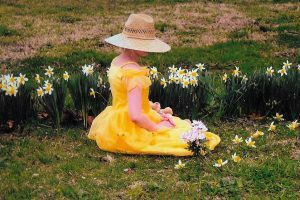 Thirty years after retiring, she plans her return. 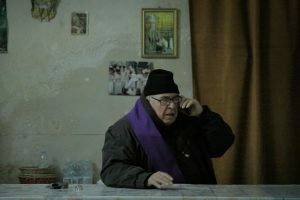 An elderly Sicilian priest performs exorcisms and negotiates with the Devil. Hundreds enlist his help in fighting their demons. Father Cataldo is just one of a growing number of ordained Catholic exorcists operating today. 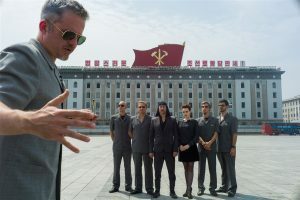 Provocative Slovenian rock group Laibach was chosen by Kim Jong-Un to be the first foreign act to play in North Korea—all thanks to the film’s director, and his influence in the world’s most cloistered country. 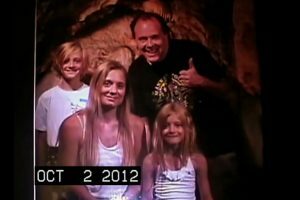 Inside the memory of a ten-year-old girl, there were six adults, they were a family. She remembers their voices when they were younger. Today she remembers them differently. 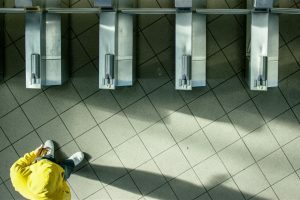 An old man’s weekly phone conversation with an unknown volunteer evokes moments of charm and human warmth. 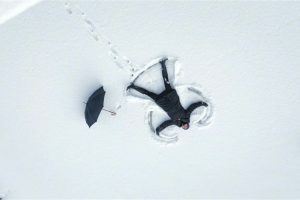 Shot in Israel, Poland and the Netherlands over a decade, this tragic- comic portrait of the artist as a wandering and aging Jewess follows Maya Gordon as she's seeking a home and expressing her yearnings in her unique work. 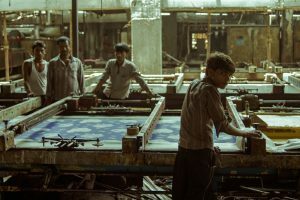 An Indian factory producing dazzling fabrics is a mess of workers and giant machines, cogs and muscles, white-hot furnaces and gnashing teeth. The constantly stunning camerawork delves into the mysterious depths of the factory and untangles the human from the mechanical. 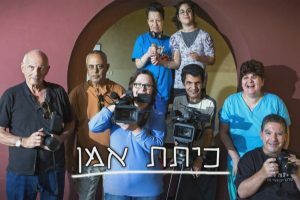 A film documenting actor Arnon Zadok’s work with a group of mentally challenged people from a “Chimes Israel” daycare center. The film exhibits the participants’ dreams, and shows inspiring moments of giving, joy, and life force. In recession-stricken Ireland, Michael and Paul try to save Michael's mattress business by creating a bizarre superhero character. 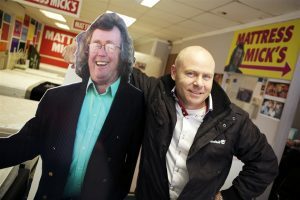 As Mattress Mick becomes a viral sensation, their relationship grows tense. 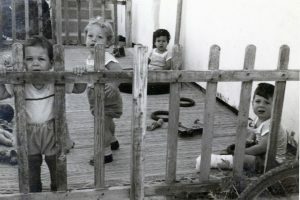 The lives of impoverished migrant community in southern Tel Aviv are viewed from the perspective of MESILA's welfare and social workers. Culturally alienated from their surroundings, the lives of their preschool-aged children are at risk. When Gypsey Rose Blanchard is indicted for murdering her mother, a dark, complex family history begins to unfold. Even after the trial, in a fascinating in-depth interview with Gypsey Rose herself, it’s hard to decide who the real victim of the story is. In the heart of Tokyo, in a house made up of white minimalist cubes spread around paths and greenery, lives Moriyama-San. 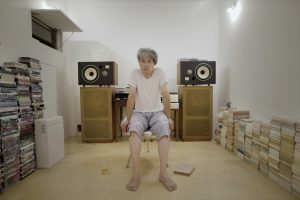 He has never left Tokyo, but his love of noise music and experimental art has given him a unbounded inner world. A unique new creation from the people behind “Barbicania” and “The Infinite Happiness”. Manila is home to the busiest maternity ward in the world. Among the bustle, the women allow the director a rare, intimate look at the warmth, compassion, and security they give each other. A minor epic takes place at a NYC subway entrance: The guy in yellow is trying, like everyone else, to get inside. 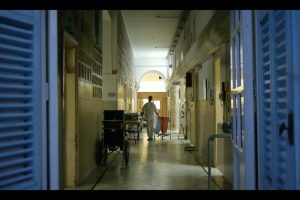 For the past seven years Muhi, a boy from Gaza has been living in an Israeli hospital, unable to return home. He is saved and raised in paradoxical circumstances that transcend identity, religion and the conflict that divides his world. 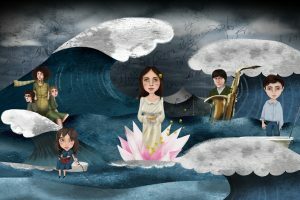 A group of teenagers who left their homes in Manipur, India, two girls who were born in Lebanon and are now finishing 12th grade and one woman, a piano teacher, who grew up near the Volga River. A literary-documentary journey into Block 461 in the town of Ma'alot. 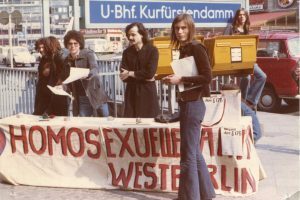 Berlin’s gay community is largely responsible for the city’s anarchic spirit. It’s the birthplace of a movement that turned it into a place where all lifestyles are legitimate. 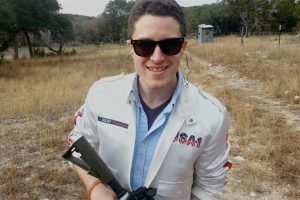 Cody Wilson, inventor of the 3D-printable gun, and Amir Taaki, who helped develop Bitcoin, wage war against all institutions. The New Radical demands total freedom, even the freedom to do very bad things. The Americans left, but the "new day" they were promised never came. Instead, they got ISIL and a new wave of terror. A paramedic documents this reality, until he and his family are forced to flee. 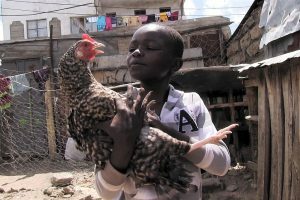 First Prize at IDFA. A tiny clinic in Paris is an island of hope for its patients: refugees and asylum-seekers. An almost-static camera captures moments during which human caring triumphs over alienation and prejudice. 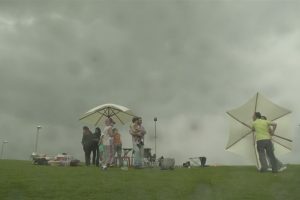 As Wolf Alice tour Ireland and the UK, Michael Winterbottom follows the band, road crew, and fans, in a story of passion, creativity and music that transcends the separation of documentary and fiction. 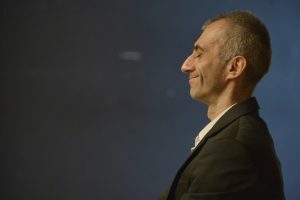 The film follows the personal life of Tal, head of a movement that turned Israel into one of the world’s most vegan countries, alongside behind-the-scenes documentation of crucial points in the evolution of the vegan movement. 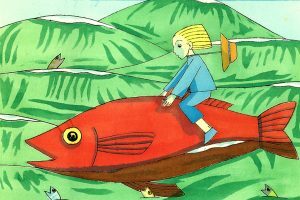 A journey into Israeli children's literature, featuring its leading figures. Episode 1 returns to the writers and poets who revived Hebrew as a spoken language, and helped create Israeli childhood as we know it. Ten short documentaries present different and diverse cinematic perspectives, tackling subject matters such as migration and minorities. A tribute to those that remain “out of place” in our social collectives. OUT OF PLACE gives visual form to their personal stories. 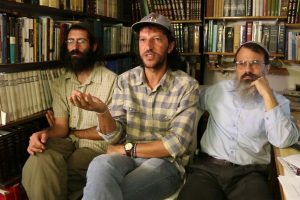 Against the backdrop of rising Anti-Semitism in France, a militant-Zionist hacker declares war against the leaders of the Anti-Semitic movement. 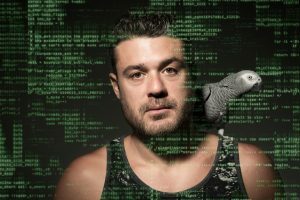 "The Patriot" is a dark tale of extremism and vengeance in the Cyber Age. He has sewn his lips together, nailed his scrotum to the Red Square, and lit the doors of Russia’s Federal Security Service (FSB) on fire. Pyotr Pavlensky, an extreme protest artist, frightens and confuses the Russian authorities he rails against. They used to be farmers, but today they’re plastic recyclers. 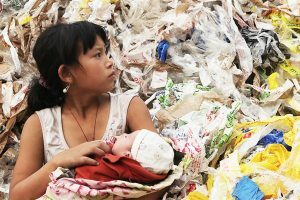 Two families work and raise their kids among mountains of imported trash from the West. Both parents and kids dream of having different lives. 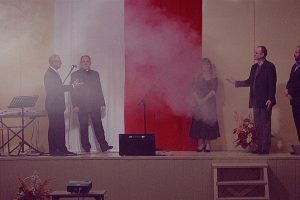 In a small Polish town, the annual Independence Day celebrations are marked with a special contest: Who is the most patriotic? 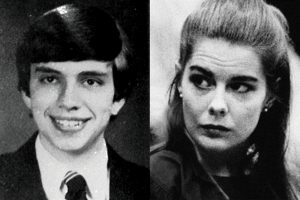 How did a shy young German man’s love for an unattainable American beauty eventually lead to the murder of her parents? This investigation uncovers a story of lust, lies, and politics. In Paris they were called "Jews", in Israel they are the "French”. 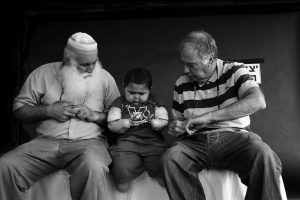 Wandering Jews, all coming in Israel and discovering it, so different from the Zionist dream. Five years of continuous observation of the French immigration, 100,000 people and one question left open: Why? Life in a tough Philadelphia neighborhood throws plenty of joy and pain at the Raineys. An intimate account of ten years in their lives as parents, musicians, social activists, and dreamers. 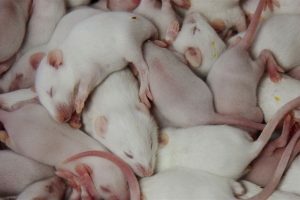 Rats and people have had a complex relationship over the years, one that runs the gamut between bitter hate and deep love. This extraordinary film traces the history of rats in the US with surprising conclusions. 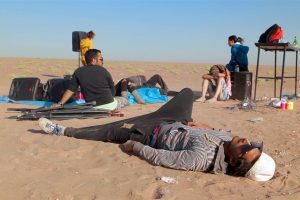 Arash and Anoosh, two Iranian DJs, make electronic music under constant threat of violence and arrest. An unexpected opportunity to realize their dreams forces them to make difficult choices. Will they have the courage to break free? This beautifully animated documentary voices the tails of one unique building in Tel Aviv. The film journeys through the many stories these walls have witnessed, with love and longing for a building that is coming back to life. In a decaying Lithuanian brick factory, the workers and machines appear to be crumbling back into dust. 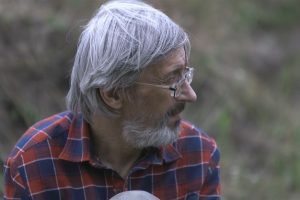 Vitaly Mansky’s family feels the effects of the war with Russia even away from the battlefield. Scattered around both sides of the border, all are forced to wonder about their national identities. While his 95 year old father lives in Israel and his daughters are about to leave home, Ron Arad goes on a journey into the past with crushed Fiat 500 cars. 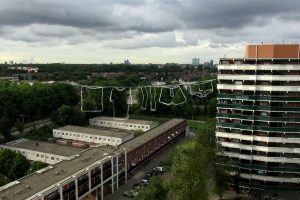 Safia misses life in Libya, but manages to find hope for a better life in the Netherlands. Even after 40 years as teachers in a beautiful Irish boarding school, Amanda and John have not become jaded; Quite the opposite. A heartwarming film that shows how easily open hearts can touch each other. 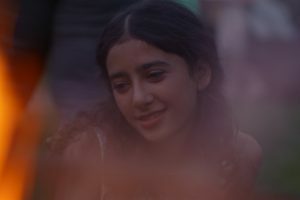 The film investigates the murder of 13-year-old Tair Rada. A complex Docu-Rashomon that challenges the ability of the justice system, as well as our own ability as human beings, to reach the truth. For the first time, second-generation children of Holocaust survivors dare speak up about the abuse they suffered as children. 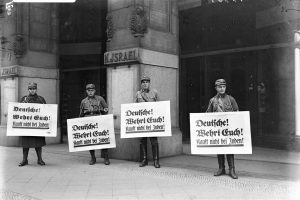 Their survivor parents had inadvertently turned from abused victims of the Nazis, into the abusers of their own children. Hernán and Marta’s romance was still young when they had to part for a long, snowy winter. His longing drives him to create a beautiful, pensive video diary, documenting his life for her. The director sets out to tell the story of the father who abandoned her, but finds herself rediscovering a hidden story from his past. 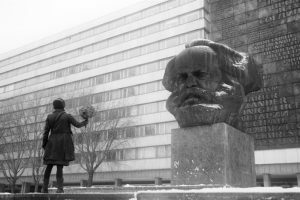 A story about the undoing of Soviet men, post-USSR. This time it’s the immigrants’ turn to listen while the real Europe talks. A bold, challenging mix of reality and drama that poses the most provocative questions: Is Europe creating a class of slaves? 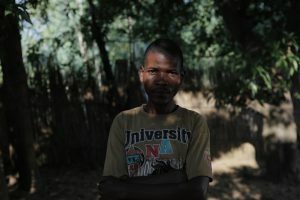 Does Europe owe a moral debt to Africa? Do immigrants have a shot at integrating? 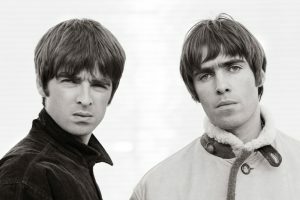 “Oasis was like a Ferrari: Great to look at, but it will f***ing spin out of control every now and again.” An intimate look at the band that defined ‘90s britpop. Susanne Bartsch, the queen of New York’s wild party scene, is a fairytale figure. Besides serving as muse for the greatest designers, she also has an inspiring social agenda, and an (almost) normal personal life. El-Ad was born deaf to a hearing family. 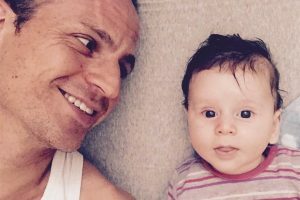 After his mother’s tragic death and the breakdown of his family, he makes the most important decision of his life: to become a father. Philosopher, architect, and inventor Buckminster Fuller envisioned the geodesic dome—his most famous invention—as a safe, pleasant, and easily built shelter for the masses. Join the tour, and listen to his musings about the future. For the first time in his life, Timor, an opera singer, decides to confront his mother. Together with his voice teacher, he puts on the show of his dreams. Sami’s moods change like the seasons. His years-long loneliness, longing, fear, and hope, are reflected by the countless letters he keeps in a cardboard box in his room—all meant for one recipient, one woman. 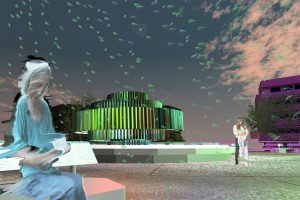 A poetic, interactive VR documentary in which the residents of the run-downTzina Dizengoff Square in Tel- Aviv muse on love and things that are no more. Thousands of Israeli teenagers join a school trip to Poalnd to learn about the Holocaust. 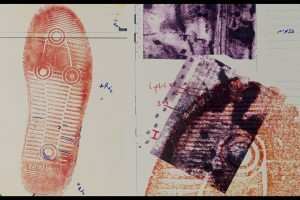 Observing the trip through videos they upload to YouTube reveals a troubling image of the way collective memory is formed in the Internet Age. 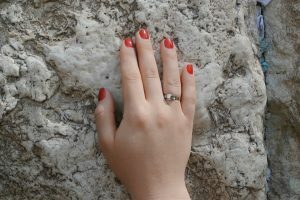 A year inside the Women's Section of the Western Wall in Jerusalem's Temple Mount. A double portrait of a place and of a woman. An encounter between sound and image, private and public, God and His absence. Yulia and Katia, abandoned girls who ended up in a closed mental hospital in Siberia, refuse to stop dreaming. They declare war on the establishment in order to win the right to an independent life. London, 1977. 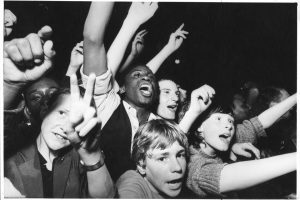 A subversive fanzine uses the spirit of punk to unite whites and blacks against the rising tide of violence and racism. 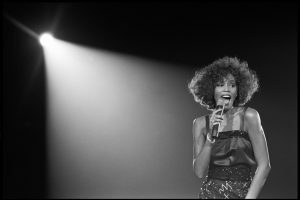 “Can I be me?” was a common refrain from Whitney Houston. 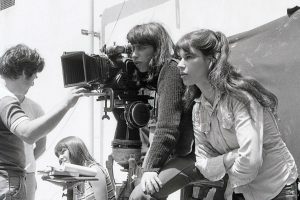 Utilizing interviews with her and her friends, and previously unseen performance footage, this film charts the course that led to her death at 48. The story of Brazil’s “Brega” music as told through its creators’ imaginations, dreams, and delusions of glamor.